Sit back, relax and take a sip of your lemonade or ice water. 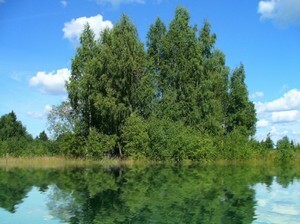 Look at the puff of clouds, the blue sky, the lush green foliage and the mirror-clear water. Can you hear the little fish jumping? Like you, they don’t have a care in the world.